The brief for this world heritage project was to provide levels of light and provisions which are appropriate to assist the way-finding of the staff at Stonehenge and those familiar with this sensitive site. 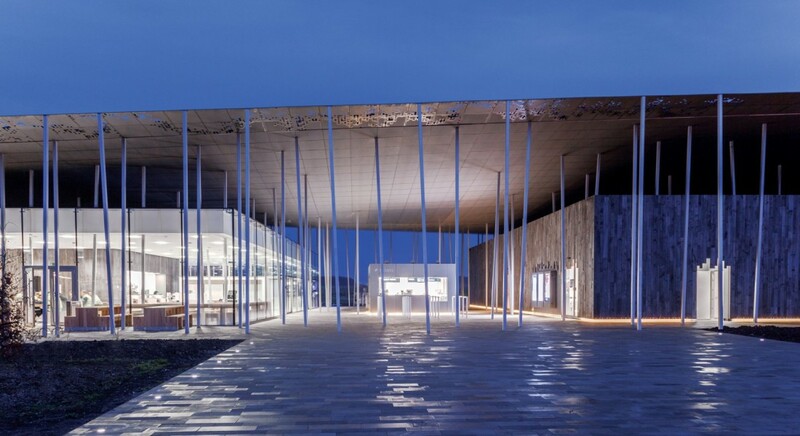 NDYLIGHT were commission to illuminate the visitor centre and selected external paths leading towards the ancient stones. The levels of light externally are intentionally low at the Visitors Centre due to the sensitive nature of the site, NDYLIGHT have designed a scheme where the lighting does not create glare, pools of light or strong shadows. In developing the concept we have designed special external fixtures to co-ordinate and match the building facade and landscape areas. Coupled with the architecture the lighting helps to create a special experience for visitors.